PINEVILLE, La. 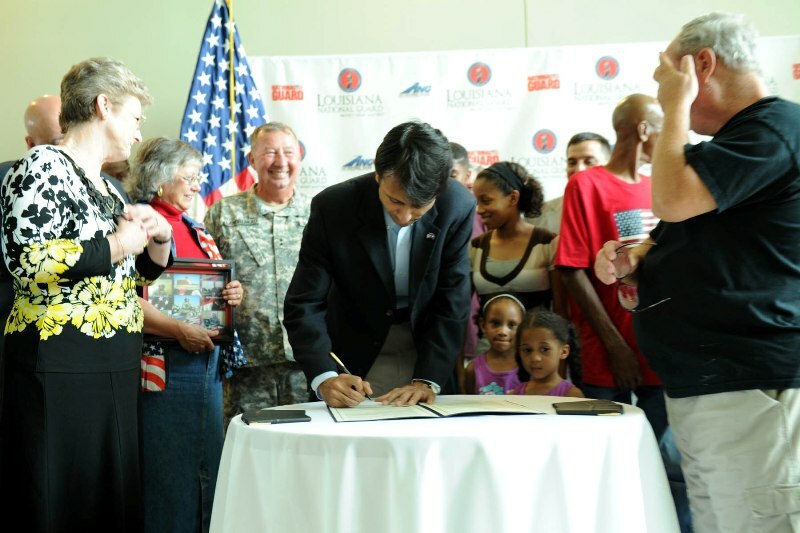  Louisiana Governor Bobby Jindal signed into law House Bill 143 providing 32 death benefits for the families of Louisiana National Guardsmen who lost their lives and disability benefits for two Guardsmen who have been injured since 9/11 at Camp Beauregard in Pineville, July 5. For Guardsmen serving on state or federal active duty, House Bill 143 provides $250,000 for a fatality and $100,000 for a permanent disability. 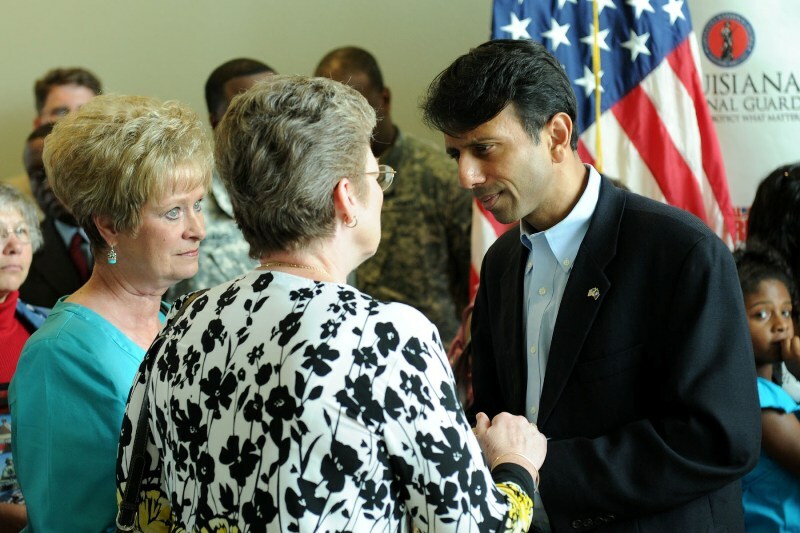 Jindal told surviving family members of the deceased service members, local politicians and current Army and Air Guardsmen that the bill extends death benefit coverage back to those Soldiers who died beginning in 2001. We must always remember those who sacrifice everything in the defense of our nation, he said. Original legislation passed in 2007 provided the same death and disability benefits, but from the date of the bill forward. 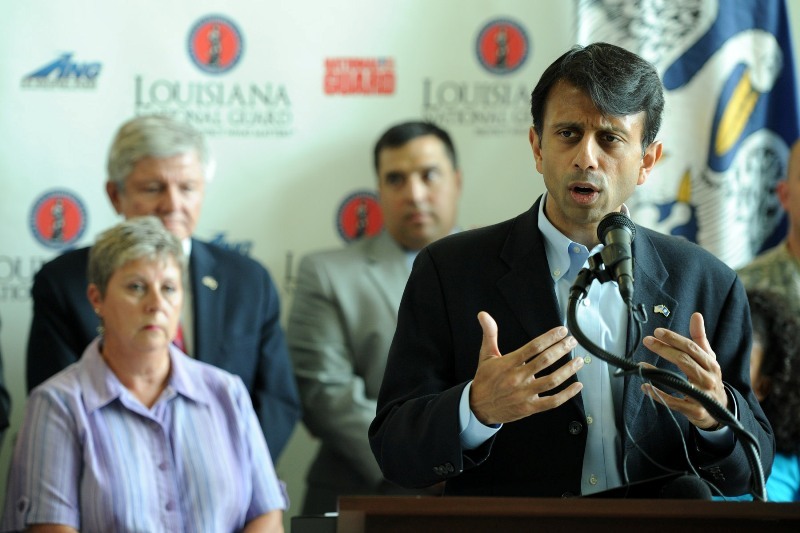 Between the period of September 11, 2001, and July 6, 2007, 32 members of the Louisiana National Guard lost their lives during periods of activation by the Governor or President of the United States. During this time, two Guardsmen were also disabled. Maj. Gen. Bennett C. Landreneau, adjutant general of the LANG, thanked the individuals and leadership that made this legislation possible, saying the benefit gives comfort to current Guardsmen and their families, as well as the survivors of those who made the ultimate sacrifice. It provides peace of mind to the Guardsmen and families of Guardsmen who sacrificed so much since 9/11, while serving our state during times of need when called upon by the governor and while serving our nation during this time of conflict, said Landreneau. Larry and Bonnie Murphy attended the signing in memory of their son, Spc. Warren Murphy, who died when an improvised explosive device hit the vehicle he was riding in, Jan. 6, 2005. All six of the Soldiers in the vehicle were killed by the explosion.